The Basque flag was created in 1894 by Sabino Arana and his brother Luis. 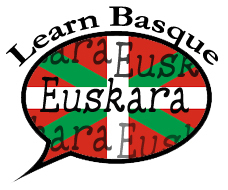 The name of the flag in the Basque language is ikurrina. Although the meaning of this word is flag, it is actually used only for the Basque flag. While not a flag of a nation-state, it nevertheless serves as unifying symbol for Basque everywhere. After the Spanish war, the dictatorship declared the ikurrina illegal, and it was completely forbidden and declared as a separatist symbol. During the 2nd World War there was a Basque brigade in the French free army, and the ikurrina of the brigade was condecorated ( because of the battle of Point de Grave, near Burdeaux). After the last Spanish dictatorship, and with the approval of the Basque autonomy, the ikurrina was declared again by law as the official Basque flag. In the Basque-French country, it has always been allowed and after World War II it was officially used in the town halls together with the French flag. Historically, the flag of Bizkaia was red, so the aim of the Arana brothers was to also give it the meaning of Bizkaia, independence and God. So the red color of the field represents Bizkaia or Euskadi, the green St. Andrew's cross stands for the the independence of the Basque Country. It is green because it also symbolizes the oak tree of Gernika, the symbol of Basque freedom. The white cross represents God. The green St. Andrew's cross: In the Middles Ages (year 867), there was a battle between the Basques and the Spaniards in a place called Padura. This battle was on St. Andrew's day. The stones of the place were stained with blood and since that day that place has been called Arrigorriaga (Place of red stones). It is not clear if this battle is historical or legendary, but the St. Andrew's cross as often been used in Basque flags, like those of the Consulate of Bilbao, The Naval flag of Biscay, and in some Carlists flags during the Carlists wars (1836-1876). Originaly: In a field of 500 cm by 280 cm the crosses had a width of 20 cm. Since 1936: With the same field, the crosses were enlarged to 43 cm in width, to make them more visible, especially the green one. Article 5 of the 1979 Statutes of Autonomy establishes the Ikurriña as the national flag of the Basque Country and also recognises the flags and insignias of the Historical Territories or Provinces that make up the Basque Autonomous Community. The regime of General Franco prohibited the Ikurrina in 1938 (it continued to be used in the Basque departements of France). 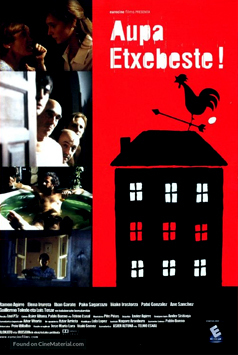 It became a symbol of defiance – the first actions of the clandestine group ETA involved placing flags in public places. During the Spanish transition to democracy, it was legalized in 1977. Two years later, the Basque Government turned to adopt it as flag of the Basque A.C. It was also adopted by nationalists in the rest of the provinces.